An amicus curiae (literally, friend of the court; plural, amici curiae) is someone who is not a party to a case and is not solicited by a party, but who assists a court by offering information that bears on the case. The decision on whether to admit the information lies at the discretion of the court. The phrase amicus curiae is legal Latin. The amicus curiae figure originates in Roman law. Starting in the 9th century, it was incorporated into English law, and it was later extended to most common law systems. Later, it was introduced in international law, in particular concerning human rights. From there, it was integrated in some civil law systems (it has recently been integrated into Argentina's law system and Honduras's 2010 civil procedures code). Today, it is used by the European Court of Human Rights, the Inter-American Commission on Human Rights, the Inter-American Court of Human Rights, the Court of Justice of the European Union and the Special Tribunal for Lebanon. The situation most often noted in the press is when an advocacy group files a brief in a case before an appellate court to which it is not a litigant. Appellate cases are normally limited to the factual record and arguments coming from the lower court case under appeal; attorneys focus on the facts and arguments most favorable to their clients. Where a case may have broader implications, amicus curiae briefs are a way to introduce those concerns, so that the possibly broad legal effects of court decisions will not depend solely on the parties directly involved in the case. In prominent cases, amici curiae are generally organizations with sizable legal budgets. In the United States, for example, non-profit legal advocacy organizations, such as the American Civil Liberties Union, the Landmark Legal Foundation, the Pacific Legal Foundation, the Electronic Frontier Foundation, the American Center for Law and Justice or NORML, frequently submit such briefs to advocate for or against a particular legal change or interpretation. If a decision could affect an entire industry, companies other than the litigants may wish to have their concerns heard. In the United States, federal courts often hear cases involving the constitutionality of state laws. Hence states may file briefs as amici curiae when their laws are likely to be affected, as in the Supreme Court case McDonald v. Chicago, when thirty-two states under the aegis of Texas (and California independently) filed such briefs. 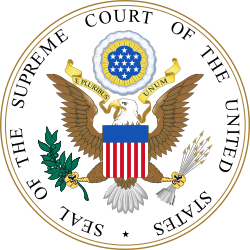 In the United States Supreme Court, unless the amicus brief is being filed by the federal government (or one of its officers or agents) or a U.S. state, permission of the court (by means of motion for leave) or mutual consent of the parties is generally required. Allowing an amicus curiae to present oral argument is considered "extraordinary". The court can also appoint its own amicus curiae if neither party supports the decision of the lower court, which it has done at least 43 times. The role of amicus curiae briefs in the World Trade Organization (WTO) dispute settlement system is controversial. The controversy arises due to the governmental nature of WTO disputes. As only WTO members have access to the system, any non-members such as non-governmental organizations (NGOs) are excluded and have no right to be heard. Thus the only way for them to contribute to a WTO decision is through amicus curiae briefs. To date there is a divergence in approaches in the WTO as to the admissibility of such briefs. The first WTO case to comprehensively examine the admissibility of amicus curiae briefs was US - Shrimp. The case concerned a ban by the US on imports of all shrimp and shrimp products not caught with turtle excluder devices. The panel at first instance rejected the two amicus curiae briefs that were submitted by environmental groups, on the basis they were not expressly solicited by the panel under Article 13 of the Dispute Settlement Understanding of the WTO. This was overturned by the Appellate Body who held a panel had authority to accept, consider or reject briefs under Articles 12 and 13 of the Dispute Settlement Understanding regardless of whether they were expressly solicited. The issue was re-examined in US - Lead and Bismuth II which concerned the imposition of duties by the US on certain imported hot rolled lead and bismuth carbon steel from the UK. The Panel at first instance affirmed the position in the US – Shrimp case and accepted two amicus curiae briefs that were submitted. On appeal, the Appellate Body relied on Article 17.9 of the Dispute Settlement Understanding and Rule 16(1) of the Working Procedures for Appellate Review to create rules to accept amicus curiae briefs. This was deemed as the source of legal authority to accept such briefs by an Appellate Body. ↑ Judithanne Scourfield McLauchlan (2005). "Congressional Participation As Amicus Curiae Before the U.S. Supreme Court". LFB Scholarly Publishing. p. 266. ISBN 1-59332-088-4. ↑ Gura, Alan (7 July 2009). "Thirty-four states support second amendment incorporation". ChicagoGunCase. ↑ Lee, Rachel C. (April 2009). "Ex Parte Blogging: The Legal Ethics of Supreme Court Advocacy in the Internet Era" (PDF). Stanford Law Review. 61 (6): 1535–1571. Archived from the original (PDF) on 2009-05-21. ↑ Dawson, Keith (8 May 2009). "Bloggers Impacting the World of Litigation". Slashdot. ↑ Van den Bossche, Peter (2013). The Law and Policy of the World Trade Organization (3rd ed.). Cambridge University Press. p. 263. ↑ Panel Report, European Community – Measures Affecting Asbestos and Products Containing Asbestos, WTO Doc WT/DS135/R (18 September 2000). ↑ Panel Report, European Community – Measures Affecting Asbestos and Products Containing Asbestos, WTO Doc WT/DS135/R (18 September 2000), [8.12]. 1 2 Appellate Body Report, European Community – Measures Affecting Asbestos and Products Containing Asbestos, WTO Doc WT/DS135/AB/R, AB-2000-11 (12 March 2001), -. Wikisource has the text of the 1911 Encyclopædia Britannica article Amicus Curiae.